Say hello to my favourite samosa and spring roll filling, lamb keema. The truth is, I am a huuuuuuuuuge meat lover and I’m afraid vegetable samosas just don’t cut it for me 90% of the time. This may be my anemia talking or the fact that my Father owns a few butcher shops so we had a diet rich in meat – I don’t know, perhaps it’s a combination of both, perhaps it’s neither. All I know is that keema samosas are where it’s at. This lamb keema filling marked round 3 of Ramadan preps for me. Round 1 involved vegetable spring rolls (which I posted on my Instagram) and Round 2 was samosas with this delicious cumin-spiced potato filling. I’m looking forward to next few rounds because I have a lot of ideas in store – watch this space! 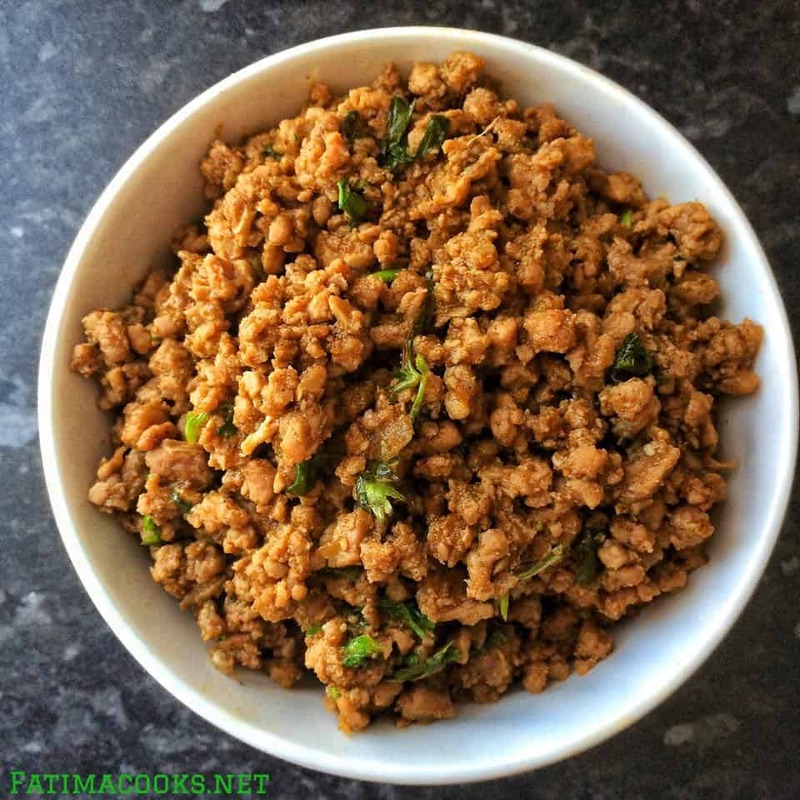 The uses for this recipe are not limited to samosas and spring rolls – use them as a filling for parathas, sandwiches, use it in pasta and salads – the list is never ending! Use this recipe as a template and add whatever else you like – sweetcorn, peas, potatoes, beans, spinach – see what I mean? The list really is never ending! My new book, ‘The Clueless Pakistani Cook’, is now available to purchase! ‘The Clueless Pakistani Cook’ is a guidebook written for people who want to get started in the kitchen and learn how to cook Pakistani food, but aren’t quite sure where to begin. It includes information about what you should have in the kitchen, spices, cooking a masala, rice, desserts, common Q&As and 5 recipes to get you started! It is a must-read for anyone who wants to learn Pakistani cooking! Click here for more information about ‘The Clueless Pakistani Cook’ and here to purchase it on Amazon! 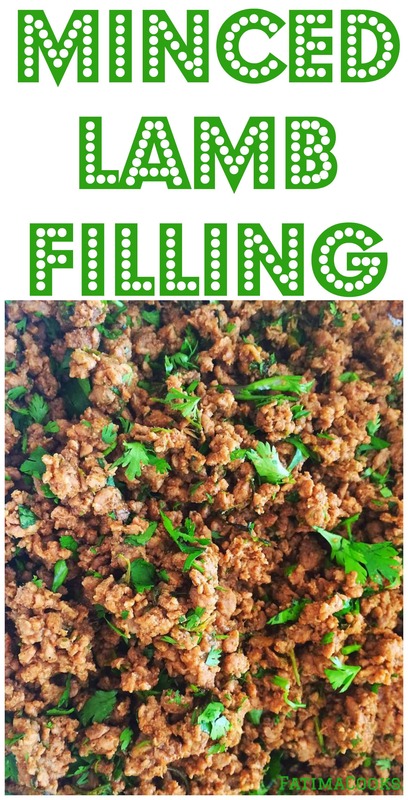 This is my favourite filling! Use this for samosas, spring rolls, parathas. You can even use it for pasta, salads, sandwiches - the list is never ending! In a pan, heat the oil and add the onions, garlic and ginger. Saute on medium heat till they are translucent, reduced in size and slightly golden. We don't want to brown them. Add the meat and 1/2 cup of water. Turn the heat down to low, cover and cook for 45 minutes, or till the meat is cooked. Once the meat is cooked, uncover and dry out any water remaining on high heat. You may not need to do this if there isn't any water left - I didn't have to. It is important to ensure there isn't any water left in the meat otherwise using them in samosas, spring rolls, parathas etc will be difficult. Once the water has dried, turn the heat off and add in the chopped coriander. If you would like to make this with chicken, then follow this recipe exactly but do not add any water during Step 3 and reduce the cooking time to 15 minutes. If you would like to add peas, add them in the final. Similarly, if you would like to add potatoes, carrots or any other hard vegetable, add them chopped into small chunks in the last 25 minutes. can i use beef instead of lamb meat, beacause its hard to find lamb meat in my country. and if i use beef can i follow the exact recipe? What kind of pepper is it?